Appealing to people with print can be a challenge, but there are benefits to digital which cannot be overlooked. That is why I chose to do both for an engaging coffee-table series called One Star. 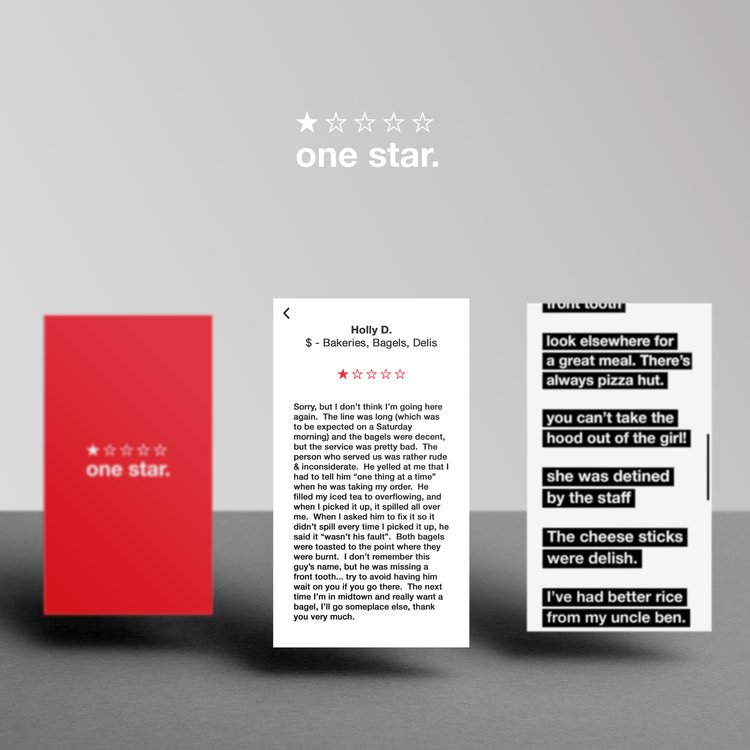 One Star is a curated collection of humorous, crazy, gross, and weird one star yelp reviews of restaurants in New York. It manifests into a mobile app, where content can be shared online, updated regularly, all while existing in your pocket for downtime entertainment. Along with this, a physical coffee table book beautifully displays these less than beautiful reviews.